We are so excited to see Reach & Match enter a new chapter in helping to bring social inclusion to a new area: Education in Emergency settings. Emergencies include situations like natural disasters, armed conflict and prolonged displacement. These circumstances destroy the usual conditions of life and disrupt education facilities for children. Education is a human right and should be guaranteed; however, during emergencies, communities often encounter difficulties in guaranteeing and protecting people’s human rights, particularly the rights of members of already marginalised groups, such as individuals with disabilities. 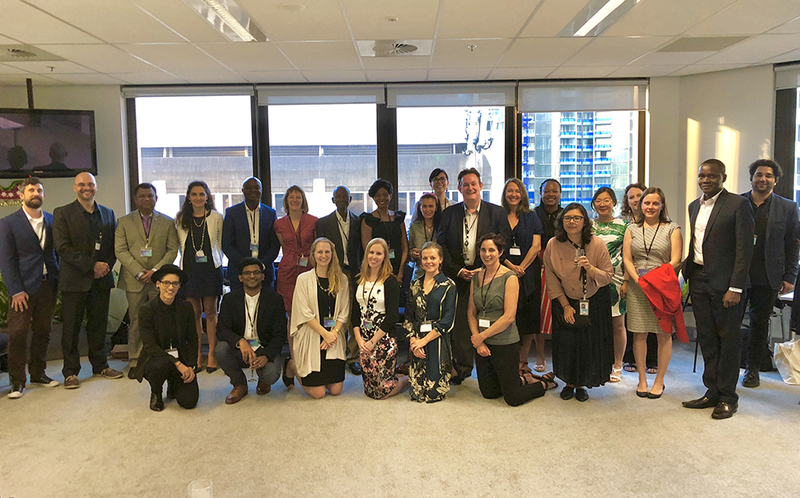 That is why out of hundreds of applicants Reach & Match is so pleased to be one of the OpenIDEO MIKTA Education in Emergency Challenge winners, and see our project is funded by the Australian Department of Foreign Affairs and Trade. The innovations were all incredibly different and ranged from a phone app that used data to identify barriers to education, using cultural artifacts to teach mathematics, to a refugee-led program empowering Syrian youths through storytelling and entrepreneurship. 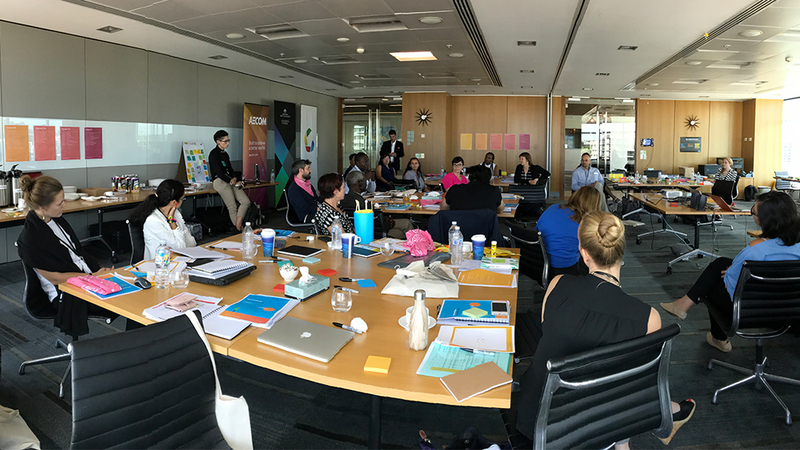 Last month the challenge winners had the privilege of attending a boot camp in Brisbane from the 5th to 9th of February. Each day a myriad of topics were covered by experts in the field. 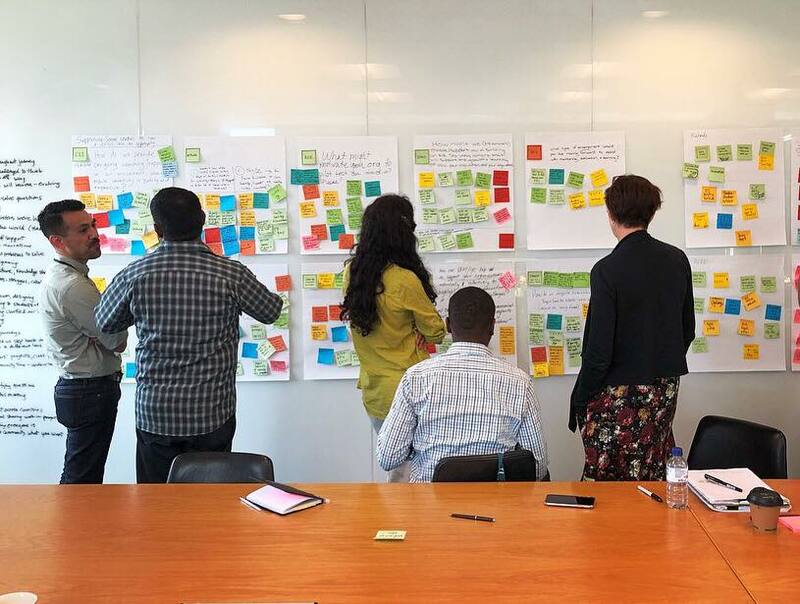 IDEO taught us the importance of human-centered design and the process of prototyping, synthesis and iteration and we were very lucky to have the Global Knowledge Initiative instruct us on monitoring, evaluation, and learning. 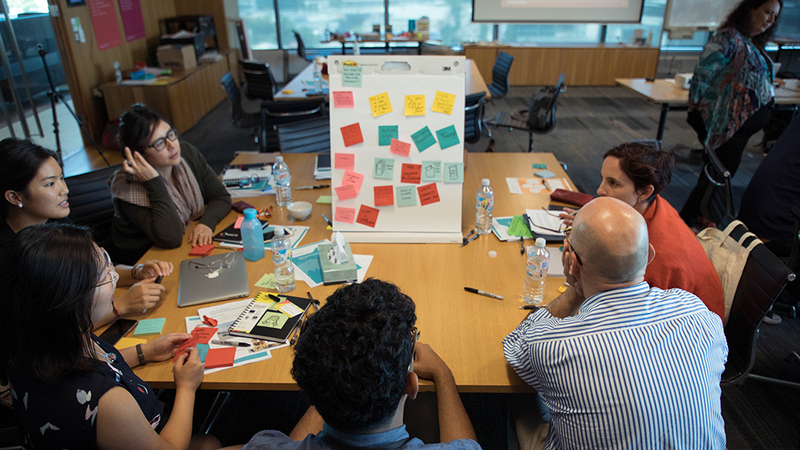 We delved into essential subjects like ethics in design research, child protection, disability policy, gender policy and the art of visual storytelling. One highlight of the camp was a site visit to the Australian Aid warehouse where we learnt a lot about emergency protocol and aid delivery. It was great working all week with a strong emphasis on empathy and putting it into practice whether through activities, organisational structure, or incorporating in policy making. It was a lot of fun brainstorming in crazy ways, using our hands to make prototypes, unleashing the inner child. 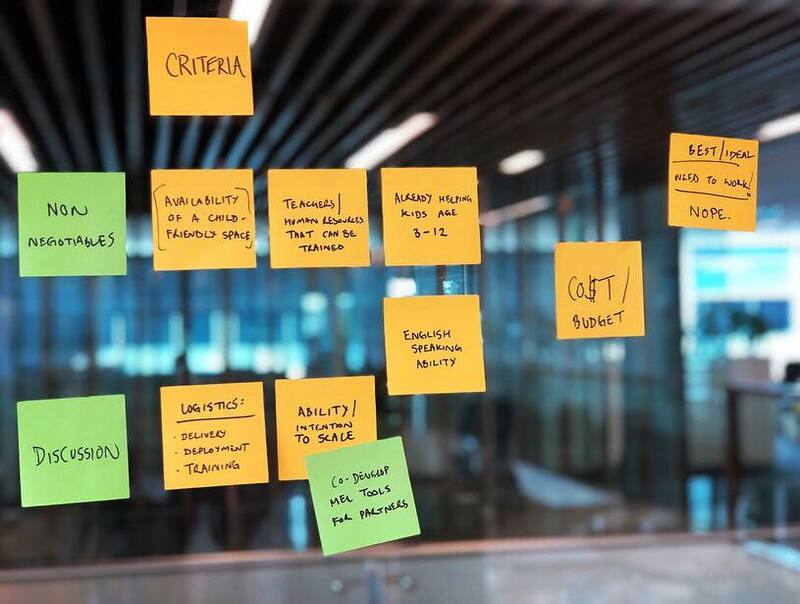 We had never used so many post-it notes before in our lives! It was wonderful to collaborate with extremely talented like-minded people and join forces through cross-pollination. Sharing skills, experience, contacts, feedback and ideas with each other, expecting nothing in return, and as a result, seeing projects flourish and bloom. Mandy and team, congratulations on your idea. Designing such a creative toolkit for children with disabilities like blindness, autism and limited motor skills, gives them a sense of dignity, pride, makes possible an early emotional development and simultaneously contributes to build a more inclusive society. This kind of portable and easy to set up educational tool is exactly what teachers and volunteers in extreme situations like natural disasters, armed conflict and prolonged displacement need the most. Scaling Reach & Match will definitely contribute to break down social and cultural barriers for those children that not only face discrimination throughout their lives but are destined to isolation in their own communities. At Reach & Match we are thrilled to see where our next steps on this journey as innovators lead to.